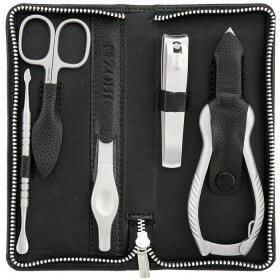 Finding professional podiatry clippers for thick and tough toenails is your first step towards well presented toes. 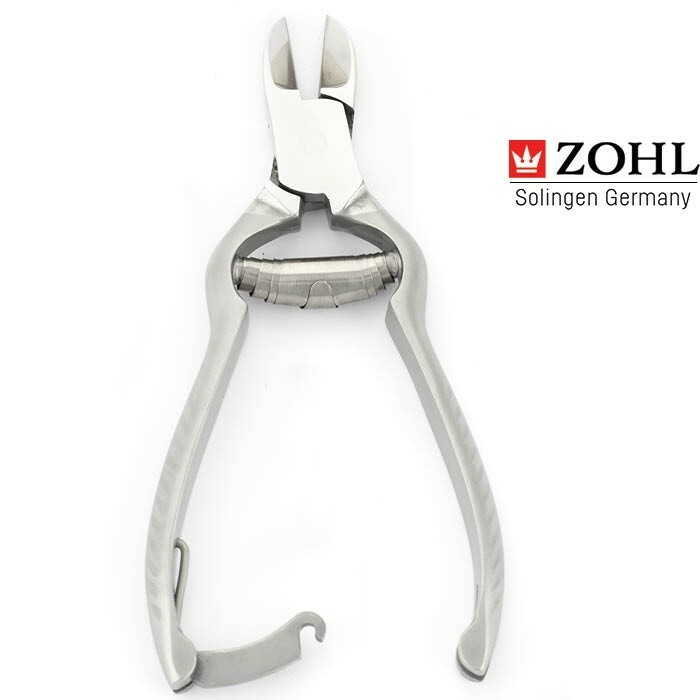 ZOHL Solingen toenail cutter SHARPtec is specifically developed to trim very thick and tough toenails, thanks to strong and sharp blades. Generous size 13cm, heavy duty design and double barrel spring make the operation easy, even for hands with limited strength. 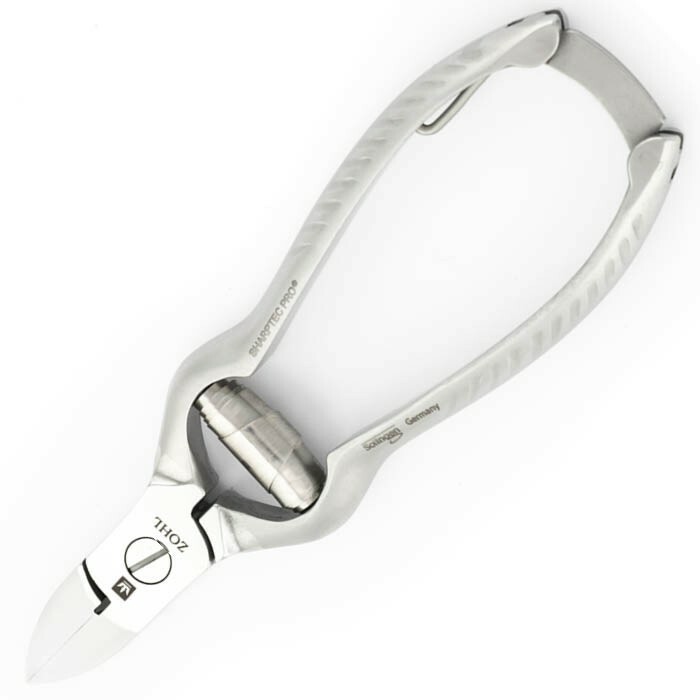 Surgical stainless steel Topinox retains the cutting edge for a very long time, without any need of re-sharpening. 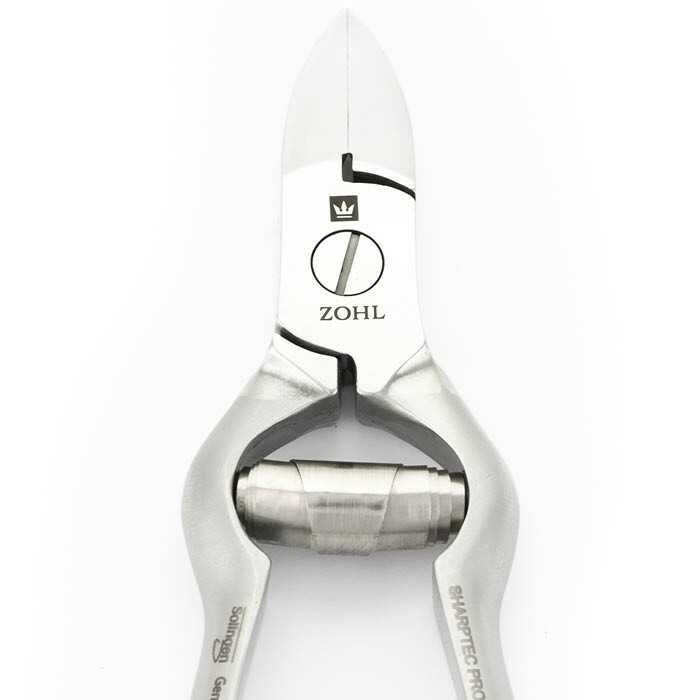 Nickel free and rust proof, ZOHL toenail cutter can be easily disinfected and autoclaved. 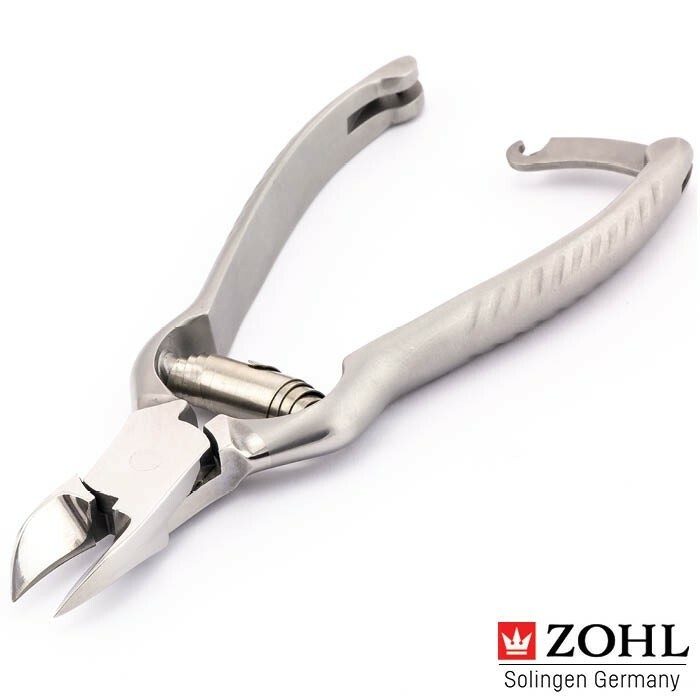 It is a high quality pedicure tool for mature toenails, fungal nails or very thick toenails that require sharp toenail cutters with wide opening. Made in Germany. 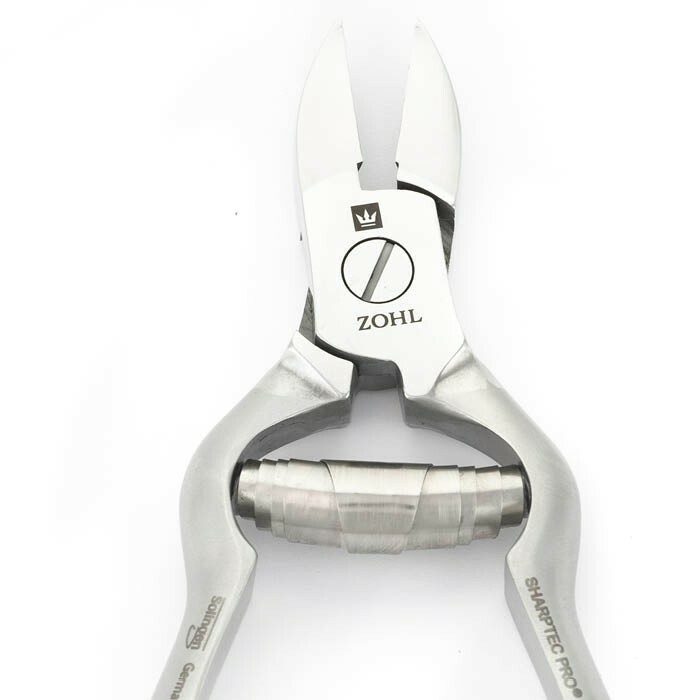 Among the best German nail clippers for thick toenails, ZOHL Solingen toenail clippers SHARPtec top the list. 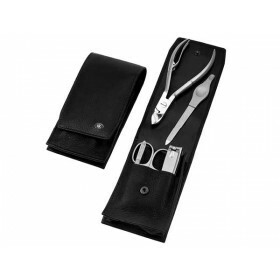 They are specifically designed to take care of very strong nails and provide you with relaxed and comfortable nail cutting experience. Heavy duty blades cut toenails precisely thanks to immaculate cutting edge, sharpened to perfection through a series of sophisticated manufacturing steps. 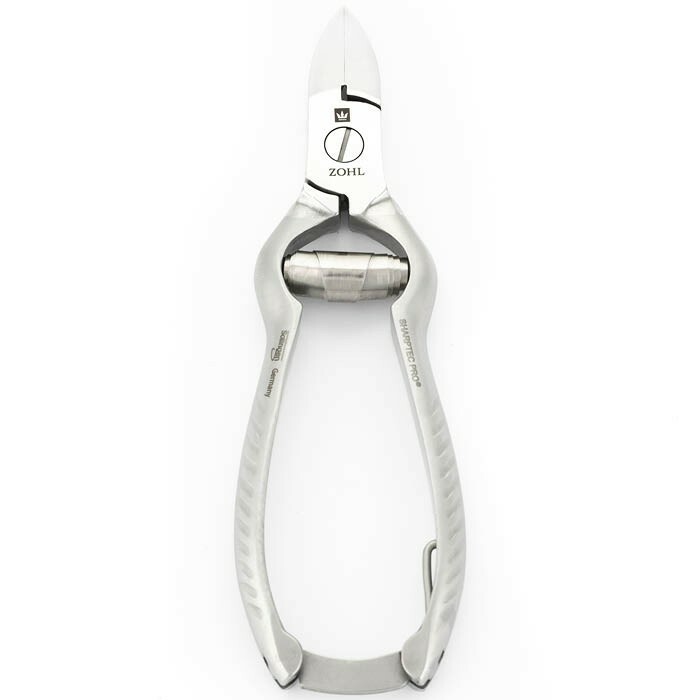 Being 100% Solingen nail clippers, SHARPtec toenail cuter offers the highest possible quality in sharpness, precision and durability. 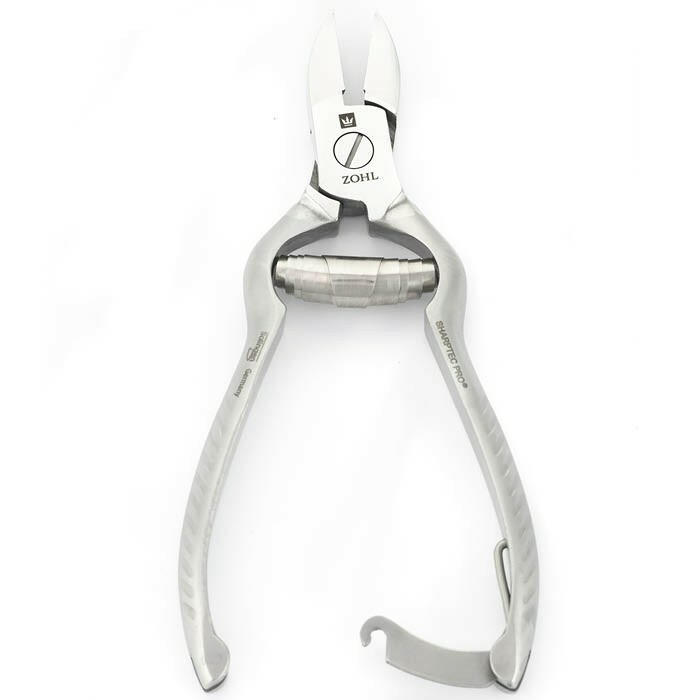 It is made of specially hardened stainless steel DIN1.4034 approved in the finest surgical instruments where excellent cutting ability is a must. 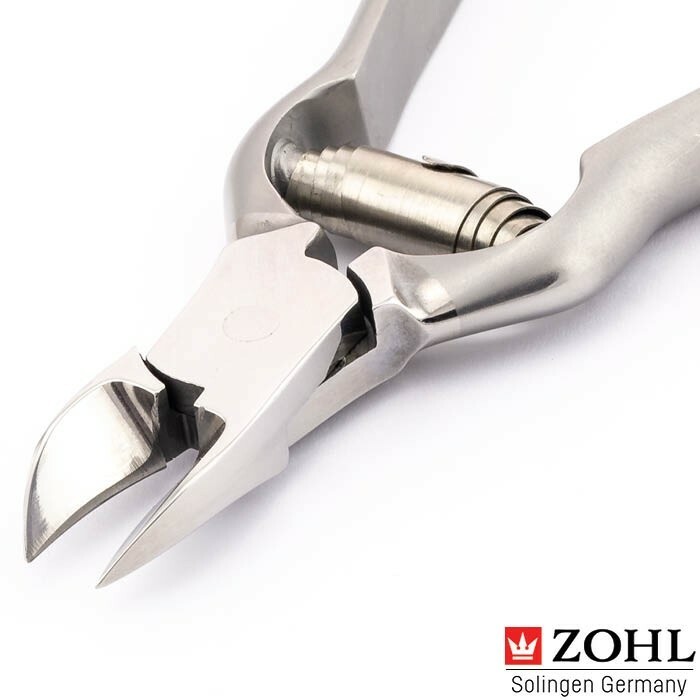 Long lasting sharpness of the blades, neat toenails and ease of operation is what you invest in when buying ZOHL toenail cutter for thick toenails SHARPtec. 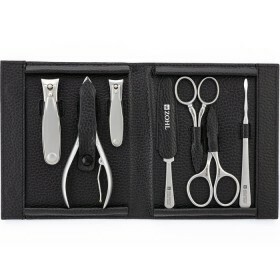 Toe nail nipper that cuts very well. Finally a nail cutter that cuts! Easy to use and very sharp, you can see its traditional German quality, exactly as described. Top quality product that is definitely worth the money. 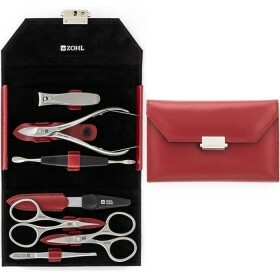 I am a nurse and I cut other people nails while during home visits and I always go for Solingen quality nail tools because I know they will perform and last. I used to buy Dovo but after trying Niegeloh they became my new favourite German brand. 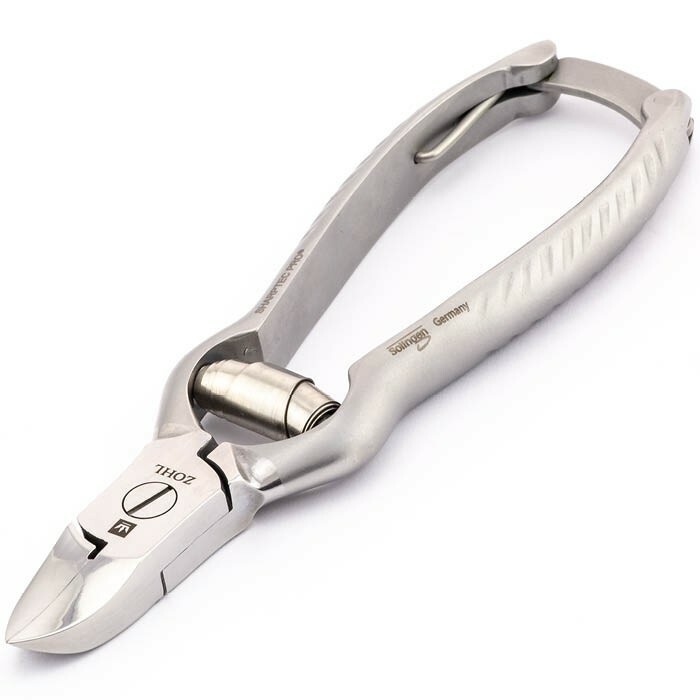 Another important feature is that the topinox material is anti allergic and you sterilise the nail cutter after use, I've done it for over 3 months and they still cut like new! I did a bit of research about it and I don't regret that I spent a few more dollars to get a quality nipper. This Niegeloh nail nipper is probably the best I have ever had. It cut my thick toe nails easily and without tearing it. I had many bad nail tools before and this one is very different. If you after quality invest on this tool.